I have long felt my children and grandchildren indulge in social networking in a way that degrades rather than enhances their mental and social skills. I’m not poo-pooing social networking. Far be for me to grate against one of the wonders of the Common Era. Social networking, I have come to the conclusion, if handled with moderation, it is a good thing. I already have egg on my face because I opposed the internet in the beginning. I was resistant to it because I have a substantial reference library and I was experiencing its obsoleteness as the internet provide more extensive querying capability than my paper-library did. I loved my thesauruses and dictionaries and … my historical and science books. But once I tapped into the ability to find what I needed to know whenever I wanted it, I gladly embraced the new medium. I google every chance I get and the vernacular of the phrase ‘google it’ has replaced words like ‘look it up in the dictionary’ or ‘what does the encyclopedia say’. When there’s two spellings for a word, I google both words and pick the one that has the most returns. Wikipedia has its problems, but I use it repeatedly. I have a Webster dictionary icon and I pay my bills whenever I can on-line. The internet is a wonder and I love it. I’ve been modernized in that sense. But, for crying out loud, one of my grand-daughters’ text messaging for the month is 6000 texts on the average. The worst month was 13,000 texts. That’s an average of 433 a day for a 30 day month period. Assuming 20 seconds is spent on each text, that’s almost 2 ½ hours a day on texting, assuming she’s quick fast and abrupt. ‘Abrupt’ is the key word, since miscues and misunderstandings account for most of the conflicts associated with this type of social networking. But 2 ½ hours is a bit much, and that’s not including other networking processes like emailing and phone calls. Not to pick on my one grand-daughter, other family members are a bit the same, although not as prolific. 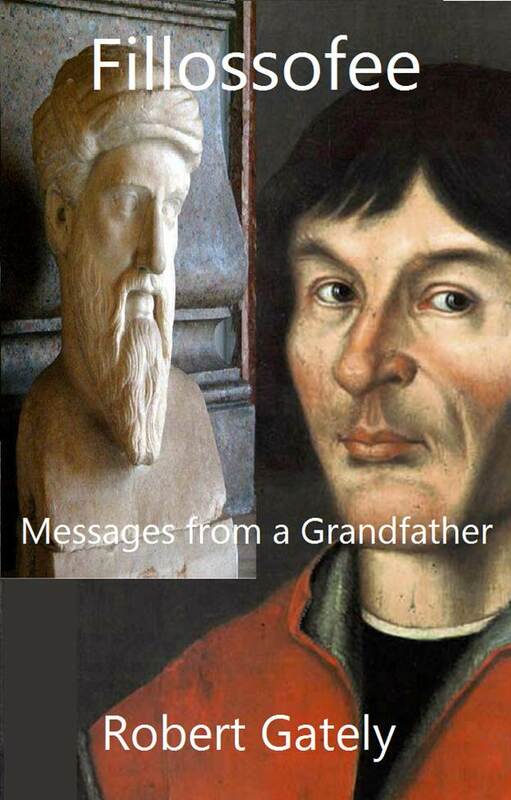 I approached other family members and asked them if they knew who Copernicus was or if The Calculus had any meaning in their lives. One person answered ‘huh’? However, if I asked, they could give me a half hour dissertation on who the Kardashians are. In fact, I have asked, and the best I can tell is the Kardashians are famous for being famous. Ug! It matters to me why I do things and if I shrug my shoulders because I’m reacting rather than having a ‘reason’ for my actions, then I’m prone to making mistakes. If apathy is a way of life, then I’ll be making a lot of mistakes without the learning process that goes along with it. This lack of industry and lack of knowledge of history and sciences with my progeny is a product of our culture today, I believe. Now, don’t get me wrong. I’m not a fuddy-duddy. I’ve gotten myself in trouble many times with my grandchildren’s parents by exploring human behavior. I taught my great-granddaughter, for example, when we were at the check-out line in a grocery store to yell out, “Hey, people, we’re gonna eat tonight.” And I was reprimanded when I got her to go to the counter at a drug store and tell the person who was waiting on line that “I’m looking for a suitable host.” My worst offense came when my daughter was acting like a child in front of my two 5-year-old grandchildren and I taught the youngsters to shake their butts at her while yelling out, “Na-na, na na-na.” Childish? Perhaps. I was exploring with them, and it was certainly funny at the time. But my grandson didn’t have the wisdom to curb his enthusiasm and he couldn’t stop doing it. He did it every chance he got, which put me in the dog house … again. Our two cultures are clashing, and I feel a bit responsible for it. To give you an example, I read something the other day that might explain it a bit. There’s two ways of looking at things, and I’ll give the expedited version. It’s the story about the grasshopper and the ant. My culture, or my version of it, explains how the grasshopper sees the ant working hard in the heat of summer every day, busy building his house and finding supplies to keep him alive during the winter. The grasshopper laughs at the ant because he thinks him a fool and continues to play the summer away. When the winter comes, the ant is warm and eats what he wants. The grasshopper, ill prepared, has no shelter and freezes to death. In today’s version of the story, the grasshopper sees the ant working hard in the heat of summer every day, busy building his house and finding supplies to keep him alive during the winter. The grasshopper laughs at the ant because he thinks him a fool and continues to play the summer away. When the winter comes, the ant is warm and eats what he wants. The grasshopper calls a press conference and demands to know why the ant should be allowed to be warm and well fed while others are cold and starving. He gets the sympathy he’s looking for and receives ‘entitlement’ packages to keep him warm and well fed. Now, cynicism is not my way of life, and certainly the moral of the story is NOT to look for entitlements, but rather I should be responsible for myself. Perhaps I haven’t been a good role model in this respect. Mistakes are to be made in life and this lack of exploring that my children seem to have has led me to writing this book. It is not intended to make up for my lack of guidance, but to highlight the need to ‘think for yourself’ and, yes, ‘be responsible for yourself’, especially your ideas. We usually think, speak and act, in that order. The adage, ‘think before you speak’ is a testament to who we are. We may, for example, be so in tune with our beliefs because we have thought out every angle, every consideration or possibility, and discussed it fully with our mentors, so when the moment arises when we must act we, seemingly, act spontaneously, but with precision. If this is the case, then, okay, we’re in tune with our beliefs. But most of the time we don’t do that. Hopefully, this book will help in turning that around. Please know I found it quite hard to compartmentalize my ideas. For example, the last chapter is on reincarnation but I also talk about it in the ‘free-will’ section because it needed to be addressed there as well. So, please don’t think I’m all over the map without a rudder. Also, some of these topics and the way I present them are too advanced at your age for some of you. So, I wait until you get older … and wiser, and hope you find joy in my journey. I start by talking about the search for truth. Hopefully, this will lead us into seeking the hard-to-reach conclusions in life like ‘who is God?’ and ‘what is our place in the universe?’ Or I ask practical questions like, ‘is killing another human being wrong?’ I explore exclusions, if any, and if I do have exceptions like ‘it’s okay to kill in self-defense’, that doesn’t mean I can’t attain the absolute about other things in life. We all opine about everything under the sun, and it’s important we push our psyches to the limit, or to conclusions that ultimately define us. On important matters in public dispute, we vote and come to a mass conclusion like, for example, on capital punishment. The fact is the search for truth is what matters. I must actively seek to find. One might say I should just open my eyes. Simple? Yes, but true. I might add, we should be asking the right questions. Anyway, this book is intended to be a journey in which mistakes are to be embraced, not avoided. We avoid dangerous acts, but explore the universe. Some say we’ll blow ourselves up in the process. I say, we’ll come to an understanding of not only who we are, but why we are here, and we might save ourselves in the process. Now, if you'd like to order the ebook for just $2.99 on Amazon you can click here and feel free to write a review after you've read it. If you wish to read the first three chapters beforehand click here.